#3 Ride a Jetski – DONE! :D | Chasing my Dreams! On Saturday 7th September, I got to experience something which I have been wanting to do, for as long as I remember – I got to fulfil the 3rd of my major Life Dreams – 3 dreams I had had in my mind for a very very long time…forever, it seems. These 3 (Race in a V8 Supercar/Racecar, Interact with a dolphin….and the 3rd, Ride a Jetski) Life Dreams had been in my mind, for many years, way before my bucketlist had even been born. It’s a surreal feeling knowing that the 3rd of these has now come into my reality! I had had a couple of opportunities to go out on the water on a jetski before now…but for one reason or another, they just didn’t happen. Which is OK, because it paved the way for the absolutely amazing way it all unfolded, this past weekend! Flying through the air, out of the water…awesome! While I was down there, my eyes and mind kept going over to the jetski’s which were beached up on the shore of the river….”THERE is my opportunity right there, to go jetski-ing!”. Something clicked inside of me, and somehow, I just knew that this was the opportunity that I had been waiting for, all these years, to make it happen. After the Flyboard Launch was over, I headed over to where the organisers were standing, introduced myself and told them that I’d love to tick jetski-ing off of my bucketlist…and would they consider getting me onto one of their jetskis to do so? 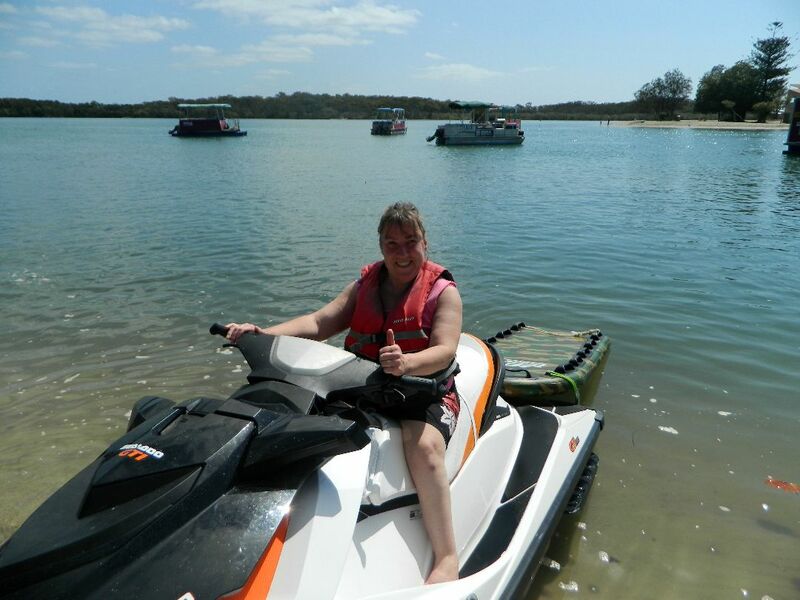 Cindy, from Maroochy River Jet Ski Hire, said YES! 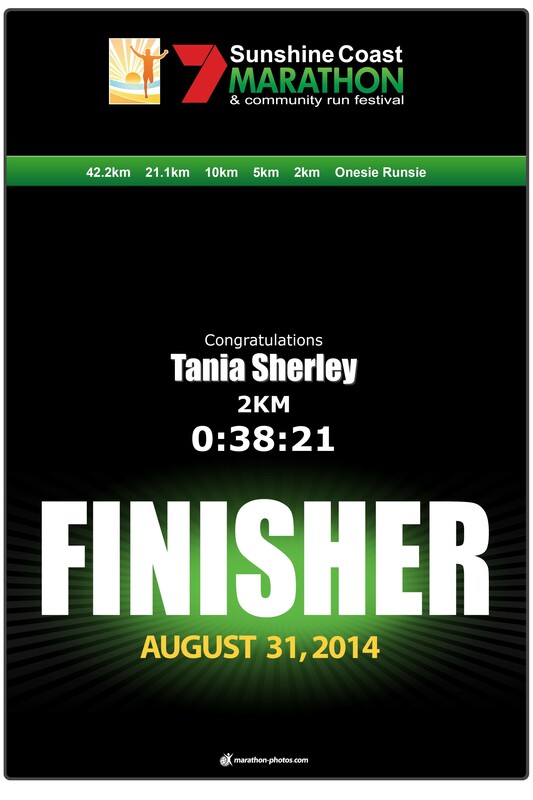 There it was….the opportunity was starting to actually come into my life! We exchanged details, and sent emails – and the seed was planted. Unfortunately, I then fell sick so wasn’t able to take this opportunity right away – but once I recovered, emails were sent – and a phonecall was made, to LOCK it in!! Yayz!! 😀 And the absolutely magic part was, Jonah, the guy taking me out, as it happens he has had many years in the carer industry, so immediately understood any fears/concerns I had regarding my disability/balance etc, which was awesome..he really ‘got’ why I was alittle worried, and didn’t make a big deal out of it, which really helped. 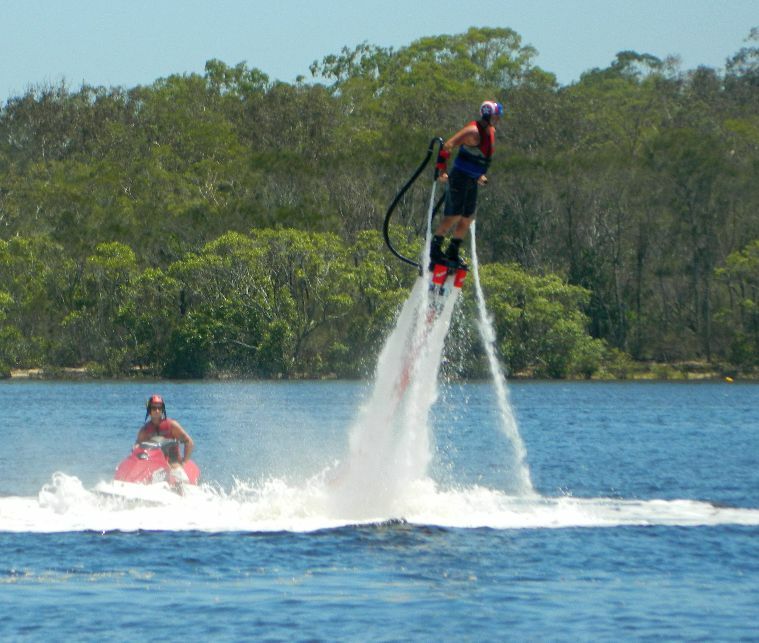 Maroochy River Jet Ski Hire…where dreams come true! **Update: Monday 9th September – driving past the river this morning, I glanced across at the water while sitting at the lights and found myself with a huge smile on my face – I no longer had that empty longing feeling to be out on that water, zooming around just like anyone else on that river on a jetski…because I can do it…Ive DONE IT! The feeling now is “Wow..Ive done that..and it is SO much fun!” And that’s what bringing your dreams and goals to life is all about – no longer having the ‘longing’ to do it, those things you’ve ‘always wanted to do’ – because you’ve done it! 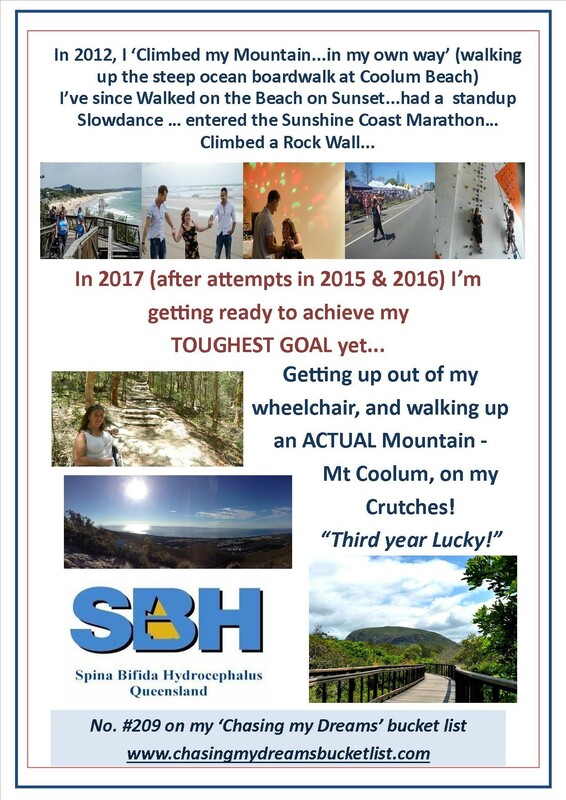 And next time (you can bet there will be a next time haha) – I wont have my ‘nerves because of my balance’ to worry about…awesome! Anything is Possible…when you find the right people to help you make it happen! #174. Watch/capture the sunrise at least once a month, for a year – so far! 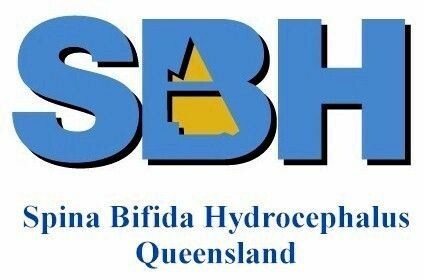 SBH Qld – GOALS Program (Growth Opportunities Access Life Skills)…and a ‘Tick’ off the list!